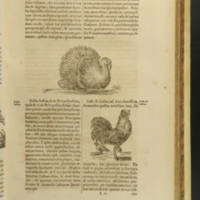 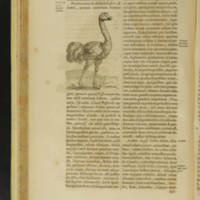 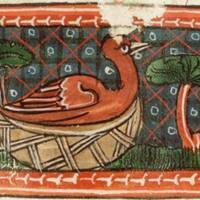 The page contains a woodcut image of a turkey, and a woodcut image of a rooster with a hen. 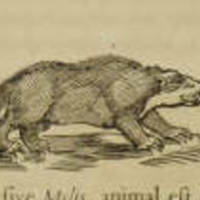 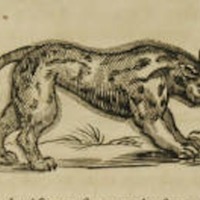 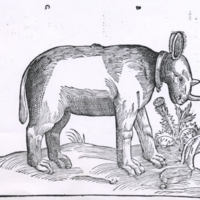 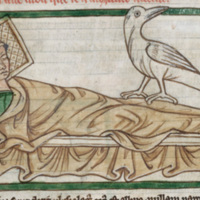 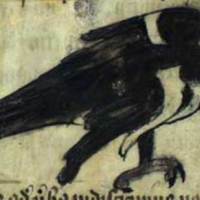 Text describing these animals accompany each image. 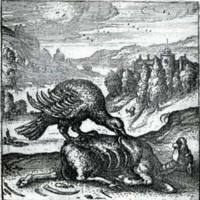 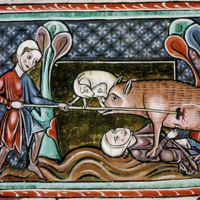 This set of images include Kircher's porcus (boar), as well as a hunting scene from a medieval English bestiary.